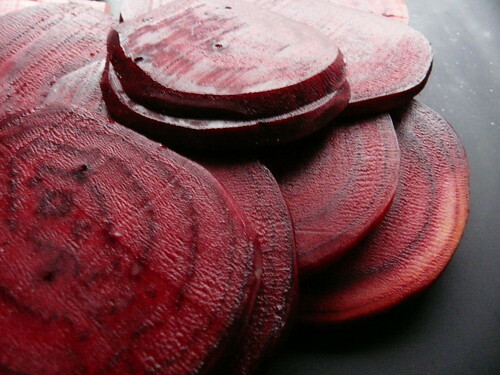 Who would have thought beetroot could be so beautiful?! Wendy – gorgeous photo. And I do like the snow that’s falling across your blog – very seasonal. Oooooooooh – I love your mandoline too! Nicely sliced.